Asae is interpreting despite having Shingles. I cant believe it … we had 8 nights of celebration . 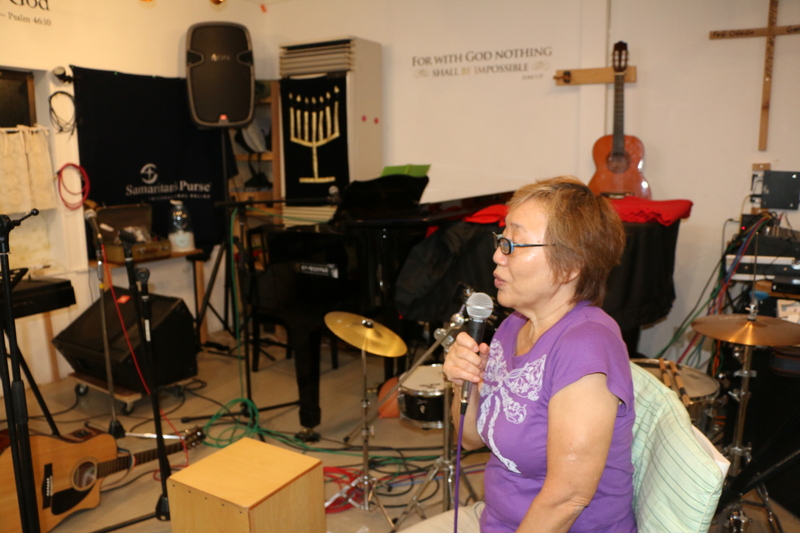 We set up the booth , provided nightly dinner ( both Singapore and Japanese style ) , praise and worship , nightly messages and sharing , testimonies and prayers . 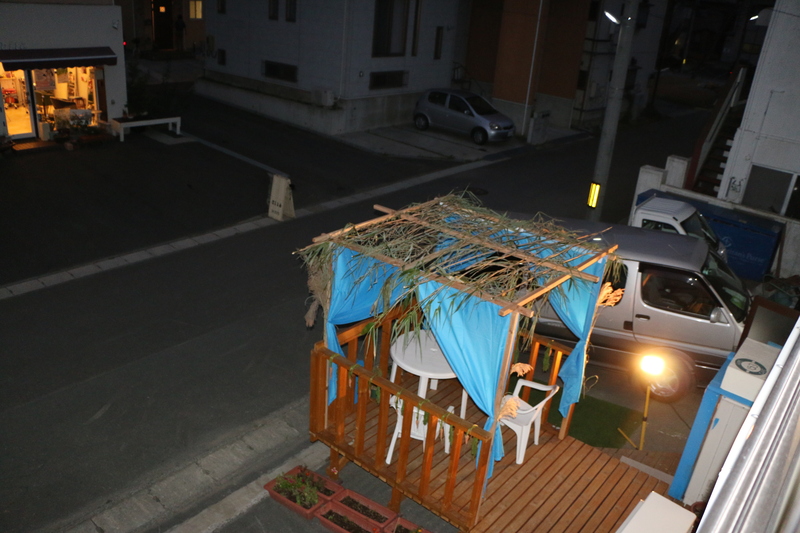 In Kesennuma , this is the first time Feast of Tabernacle is being celebrated. Lev 23:39 So beginning with the fifteenth day of the seventh month ( Jewish calendar ), after you have gathered the crops of the land , celebrate the festival to the Lord for seven days…. So this is what we did , we rejoice before the Lord with praise and worship, testimonies, sharing the word and prayer for the sick. We believe that when the manifested presence of the Lord is here , the sick and demonised will be healed an set free. During the day we went out to visit people and invite them to the 7 nights of celebration and we tell them we are serving Singaporean food. They are served a nice dinner , followed by celebration. The first night of our celebration also falls on the chinese lunar autumn festival and we served mooncakes and took everyone out for a walk in the dark carrying lanterns. We witness the sick healed and demons cast out from people. Read John 7 and it records for us that Jesus was at the Feast of Tabernacles. 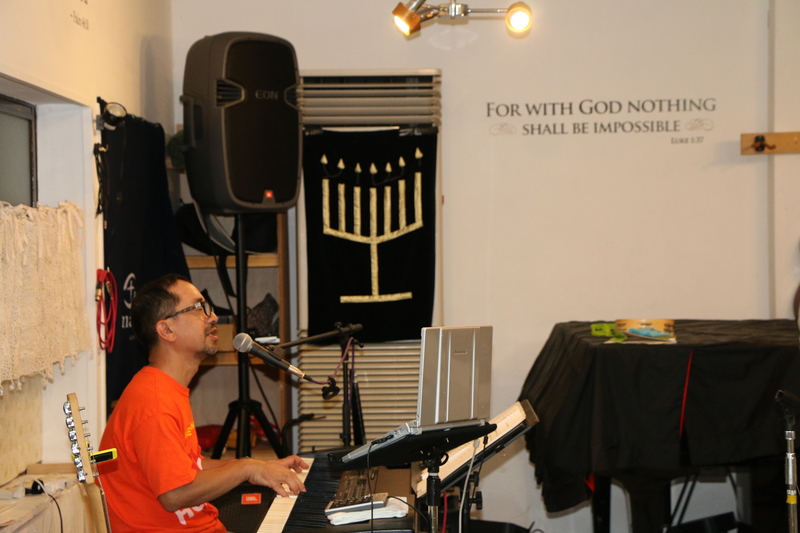 So on the seventh night we had a wonderful time welcoming the Holy Spirit and declaring the Holy Spirit’s presence and power will be released over Kesennuma and spread out all over Japan. Significantly , that night we recd the approval from the Government of Japan for Ps Christina, Ps Caleb , Pek Kuan and Victoria to be missionaries in Japan. 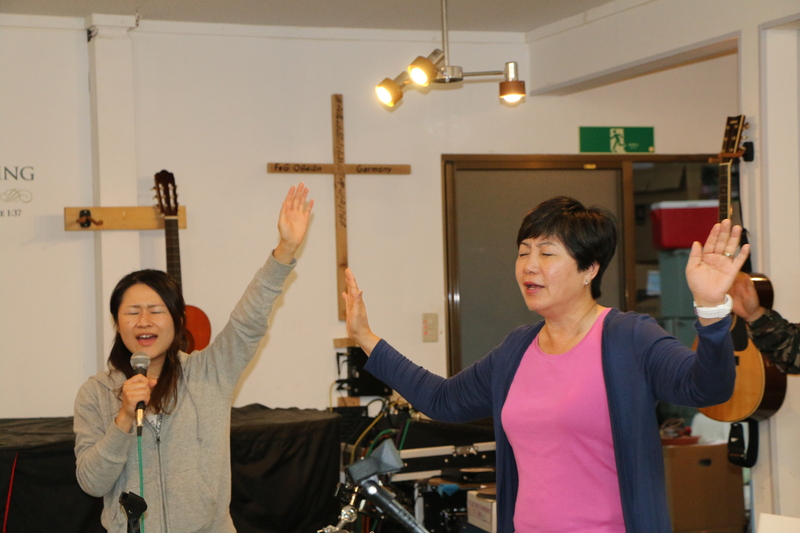 WOW , what an awesome night…no one will take credit for the move of God’s revival for Japan…only the Holy Spirt. Below are some pictures , the video will be out soon …akan datang ! 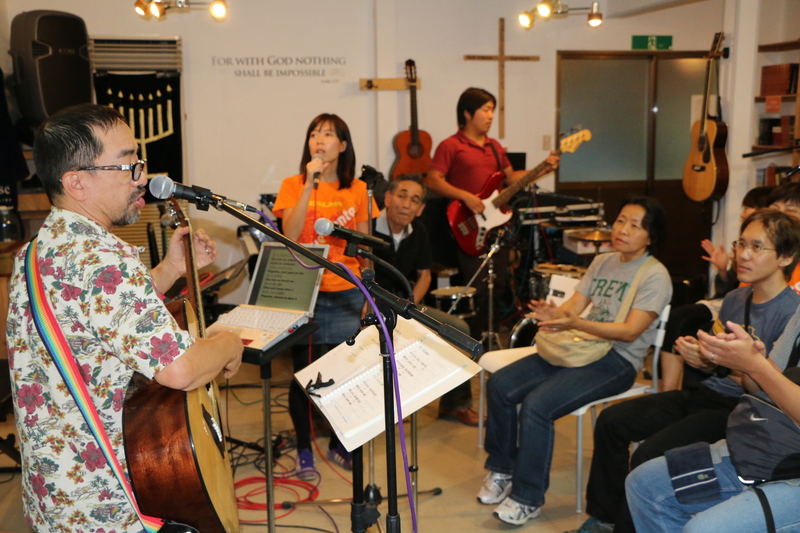 Indeed we saw the hands of God……and am excited for what GOD is going to do through all of you in Japan! To begin with praises and worship – a prophetic battle strategy! In the land of the rising SON…. as you exalt the name of Jesus, He will draw all men (and women) to Himself! Jiayou! Wow! 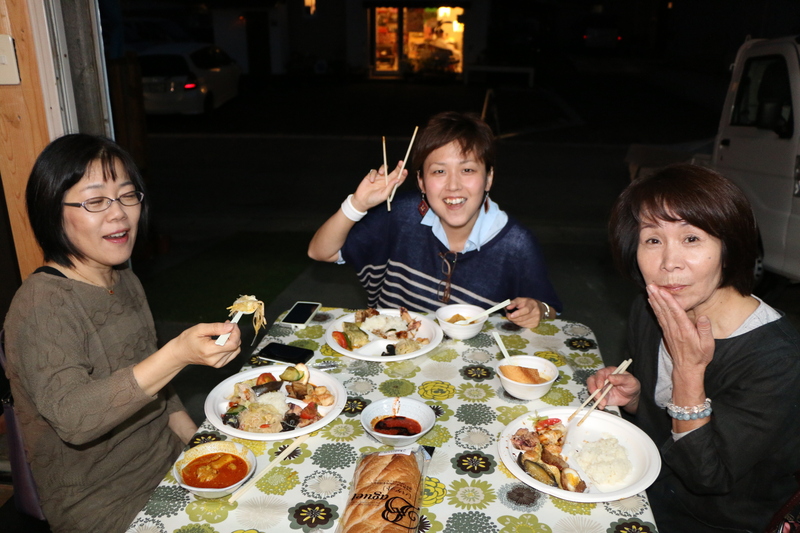 It’s so exciting to see you all serving the people in Kesennuma. God bless! Wow! 8 days of celebration in Kesennuma, Japan. Wow!! The sick healed and demons cast out!!! Approval recd !!! We praise His Holy Name….Lord Jesus….